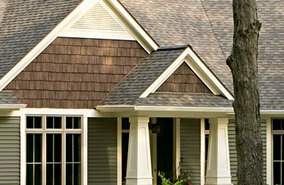 Picking you vinyl siding colors is a really important decision. It is hard to know if you will like these same color schemes for 10, 20, or 30+ years. Before you decide on a color for your new vinyl siding consider these factors. 1. Pick your color outdoors and in different light conditions – there are several vinyl siding colors that look different in the direct sunlight than they do on an overcast day. So take the time to compare your vinyl siding in several different lighting conditions… in the long run you’ll be glad you did! 2. Check the FADE WARRANTY of the vinyl siding you are considering. Ask your siding contractor what the FADE WARRANTY is for the prospective vinyl siding products and ask to see it in writing. Different vinyl siding manufactures have different fade warranties, and they are rated in “Hunter Units.” Typically a good vinyl siding is rated not to face more than 4 Hunter Units with an excellent siding fading no more than 3 Hunter Units. Note: 1 Hunter Unit color difference if barely visible. 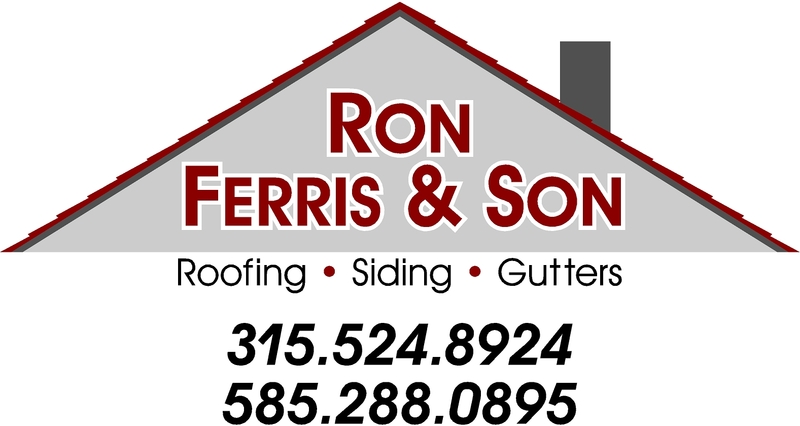 For all your vinyl siding needs in Rochester NY, be sure to call Ron Ferris & Son at 585-288-0895!